Over the past few years, income-seeking investors have had to look harder and take on more risk to find a big yield. Unfortunately, a lot of people have fallen for yield traps -- that is, buying a stock simply based on a high yield that the underlying company can’t afford. The end result? Not getting the payout you expected and holding a stock that you may end up selling at a loss so you can reinvest the money in something that actually pays you. Insult and injury. But all high-yield stocks aren’t traps waiting on unsuspecting investors to spring them. There are plenty of high-quality companies with above-average dividend payouts that generate more than enough cash to keep the checks coming. Here are nine in particular that should be on investors' watch lists. Natural gas and natural gas liquids gathering and pipeline operator ONEOK, Inc. (NYSE:OKE) pays a dividend yield of 5.9% based on recent prices. That’s a solid yield, but not exactly sky-high when compared to some of its peers in the midstream oil and gas industry. But what makes ONEOK’s dividend so impressive isn’t just its yield, but the rate that the company has increased the payout. Last quarter, it paid out $0.855 per share, nearly 15% higher than the $0.745 per share it paid out a year prior. It also marked the fourth consecutive quarterly increase in the dividend, and the fifth increase in the past six quarters. Over the past five years, ONEOK has increased its dividend by 225% under the direction of one of the best management teams in the midstream space, even as oil and gas prices have gone through some painful gyrations. Furthermore, its future prospects are solid: Management plans to continue growing the payout at a double-digit rate for at least the next few years as it brings some $6 billion in new projects online that will drive its cash flows even higher. Royal Dutch Shell plc ADR (NYSE:RDS-B) is second only to Exxon Mobil Corporation (NYSE:XOM) in market capitalization amongst the so-called “supermajors.” But of the five biggest publicly traded oil companies, it sits at the top when it comes to dividend yield, with a 6.1% payout at recent prices. While fellow supermajor BP plc (NYSE:BP) comes close with a yield just at 6%, Shell’s yield is 24% higher than that of French giant Total SA (NYSE:TOT), 36% higher than ExxonMobil’s, and nearly 53% higher than Chevron Corporation’s 4% yield. Furthermore, that payout is also well within Shell’s ability to maintain. 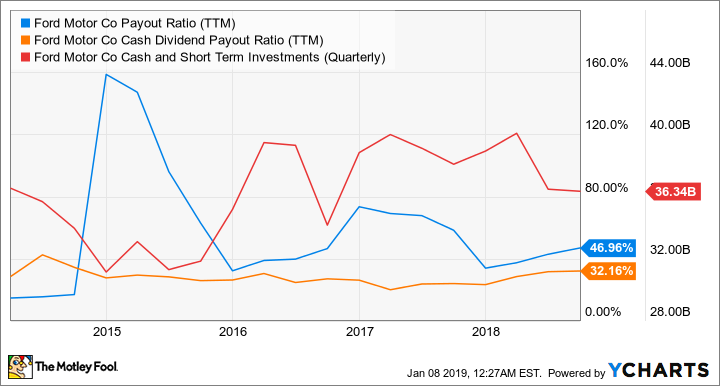 Over the past year, Shell’s earnings payout ratio -- the percentage of GAAP earnings paid in dividends -- was 65%, a pretty wide margin of safety. 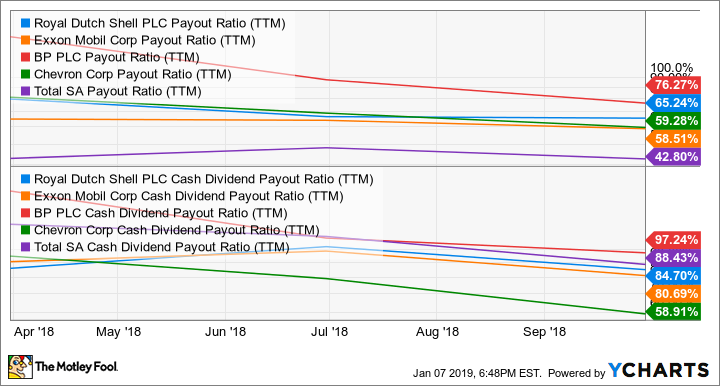 On a cash flows basis the payout ratio is closer to 85%, but even that level gives it a decent margin of error, especially when factoring in the $19 billion in cash the company has on its balance sheet. With a yield of 6.5% based on its most-recent payout and unit price, Magellan Midstream Partners, L.P. (NYSE:MMP) is an example of a midstream investment with a higher payout than the aforementioned ONEOK. 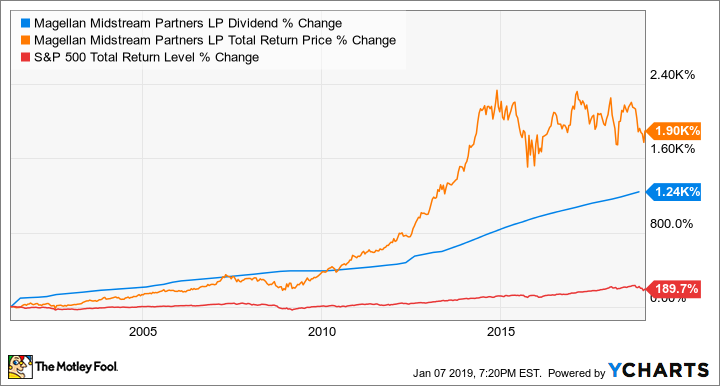 It’s also a good example of how a well-run pipeline company can deliver amazing long-term returns through savvy investments that deliver years of dividend growth. Looking ahead, the payout looks incredibly secure and likely to grow. With a distribution coverage ratio generally above 1.2 times, and its cash flows protected by long-term contracts unrelated to oil or gas prices, investors who buy today can expect those quarterly checks to continue for years to come. Telecom giant AT&T Inc. (NYSE:T) has been paying investors dividends for a very long time. But its best growth days are likely in the rear-view mirror; the telecom business has been quite mature for many years, and the company has started shifting its investments towards media properties and distribution in recent years, including a huge deal for Time Warner that has been widely considered an over-pay. Low expectations for future growth, along with stretching its balance sheet to buy Time Warner and other assets have played a big role in the market’s treatment of its stock over the past few years. Since the 2016 peak, AT&T’s stock price has fallen almost 30% at recent prices. Yet over that same period, the company has been able to increase its payout twice, if only modestly, and it now yields an impressive 6.6%. Furthermore, it generates enough income to cover the payout and still keep enough on hand to cover future investments. ALSO READ: Are These 11% Dividend Yields for Real? Wind and solar energy producer TerraForm Power Inc (NASDAQ:TERP) hasn’t always been a dependable source of dividends. As a matter of fact, it didn’t pay a dividend at all for nearly two years while the bankruptcy of its former parent, SunEdison, played out and actually put it at some risk of insolvency. What a difference a few years -- not to mention a new corporate parent and executive team -- can make. Now majority-owned by Brookfield Renewable Partners LP (NYSE:BEP), which is itself controlled by Brookfield Asset Management Inc (NYSE:BAM), TerraForm Power is now part of arguably the best-run asset management organization in the world. Moreover, the executives Brookfield has running TerraForm Power are also part of an incredibly skilled team of investors. The combination of improved operations and expanded assets pushed TerraForm Power’s cash flows up 70% in its most-recently reported quarter. This big improvement has it on track to generate plenty of cash to support its dividend payout, which yields 6.8% at recent prices. With demand for wind and solar power on track for years of growth, TerraForm Power is a great candidate for dividend growth, too. Just like its subsidiary TerraForm Power, Brookfield Renewable Partners also makes this list of dependable high-yield investments. It even offers a higher payout with a 7% yield at recent prices. But while Brookfield Renewable owns a majority stake of TerraForm Power, its prospects are far from tied to just that company’s results. In addition to owning its own wind and solar assets on top of its stake in TerraForm Power, it counts on a substantial ownership of hydroelectric power to generate steady, predictable cash flows. Furthermore, management expects it can grow its per-share cash flows between 6% and 11% yearly over the next five years, just by leveraging its existing assets. That means Brookfield Renewable should also have the ability to raise its payout, much as it has managed to do over the past few years. That’s especially true considering it generally only pays out about 70% of cash to investors, giving it -- like many of the companies we’ve highlighted -- a solid margin of safety for that payout. In recent years, many automaker stocks have underperformed the market. That’s certainly true for Ford Motor Company (NYSE:F), which has seen its stock price fall by more than half over the past half-decade. This has been a product of both concerns that Ford’s profits have slipped on rising costs, and concerns that the auto cycle is probably on a downslope and could continue to weaken -- particularly so if we see any economic weakness in the U.S. anytime soon. But this extended selloff has created a very good opportunity for dividend investors. At recent prices, Ford’s base dividend of $0.15 per quarter per share is worth a sky-high 7.2% yield. So why risk buying an automaker on the wrong side of the cycle? In short, because today’s Ford is built to support the payout and this well-run company is too cheap to ignore. That’s doubly-true with a $30+ billion cash hoard the company maintains in part to make sure it’s prepared to ride out an extended period of economic weakness, including maintaining its ability to pay the dividend. With a dividend yield of 8.7% at recent prices, hotel and travel center owner Hospitality Properties Trust (NYSE:HPT) certainly has a payout that raises red flags for many investors. That’s doubly true when you consider that its operating cash flows have declined by 16% per share over the past year and a half, a big reason why its stock price is down 25%. But when you dig in a little deeper, it looks like many of those investors who sold should have been buying more. To start, even with the decline in cash flows Hospitality Properties is more than able to maintain the payout. 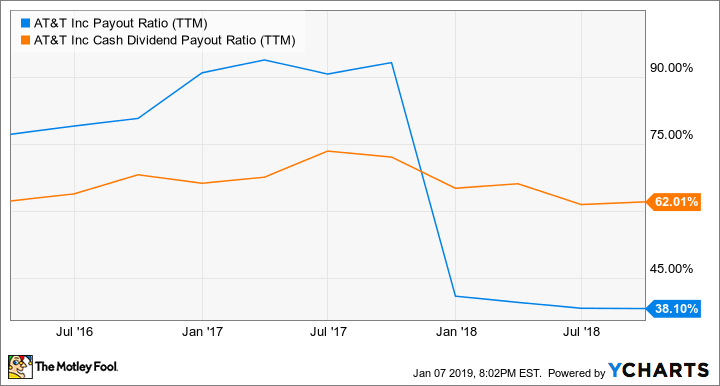 Its trailing 12-month cash payout ratio is 67%, the payout ratio was only 50% in the third quarter, so the payout really isn’t at any imminent risk of a cut. Moreover, the decline in cash flows isn’t due to structural weakness in the company’s business, but due to higher numbers of vacancies tied to a large number of ongoing renovations. Once complete, Hospitality Properties should see its cash flows improve beyond prior levels. There’s some additional risk since the company has taken on a little more debt to fund its investments in many properties, but even with that, this is a textbook opportunity to buy low on a high quality -- and high-yield -- stock. 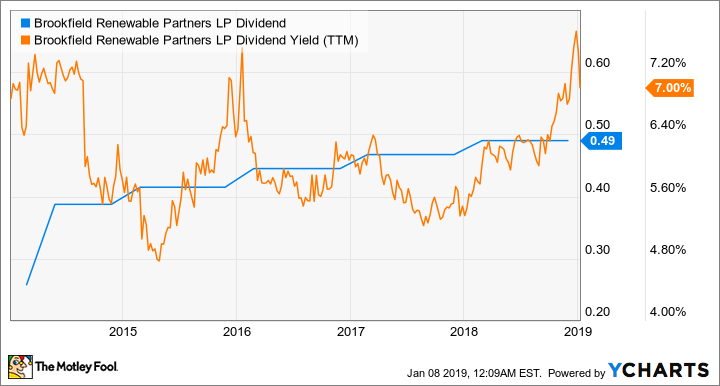 Pushing 13% at recent prices, CenturyLink Inc (NYSE:CTL) pays by far the highest dividend yield of any S&P 500 stock, and it’s not even close. It is also dealing with shrinking revenue and a steady decline in its legacy landline telephone and even low-speed broadband internet services. Add in concerns that its revenue has continued to decline even after its merger with Level 3 Communications, and investors have remained pretty negative on the company. But CenturyLink’s management is quick to say that recent revenue declines are partly a product of an ongoing transition to focus on more profitable opportunities while walking away from money-losing deals. 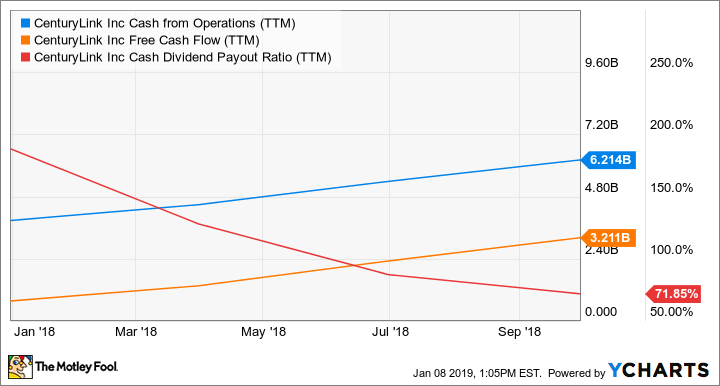 Combine this focus on profitable business with efforts to drive down operating costs, and CenturyLink’s cash flows have steadily improved over the past year, and are far in excess of what it needs to maintain the dividend. But the bigger question is whether it should continue the current payout, or would be better served to cut it and instead aggressively pay down debt. Management has been steadfast that maintaining the dividend is a priority, but so long as the stock price remains depressed, keeping the yield at double-digit levels, a cloud of uncertainty around the payout will likely remain. Jason Hall owns shares of CenturyLink and TerraForm Power. The Motley Fool owns shares of Brookfield Asset Management. The Motley Fool recommends Ford, Magellan Midstream Partners, and ONEOK. The Motley Fool has a disclosure policy.